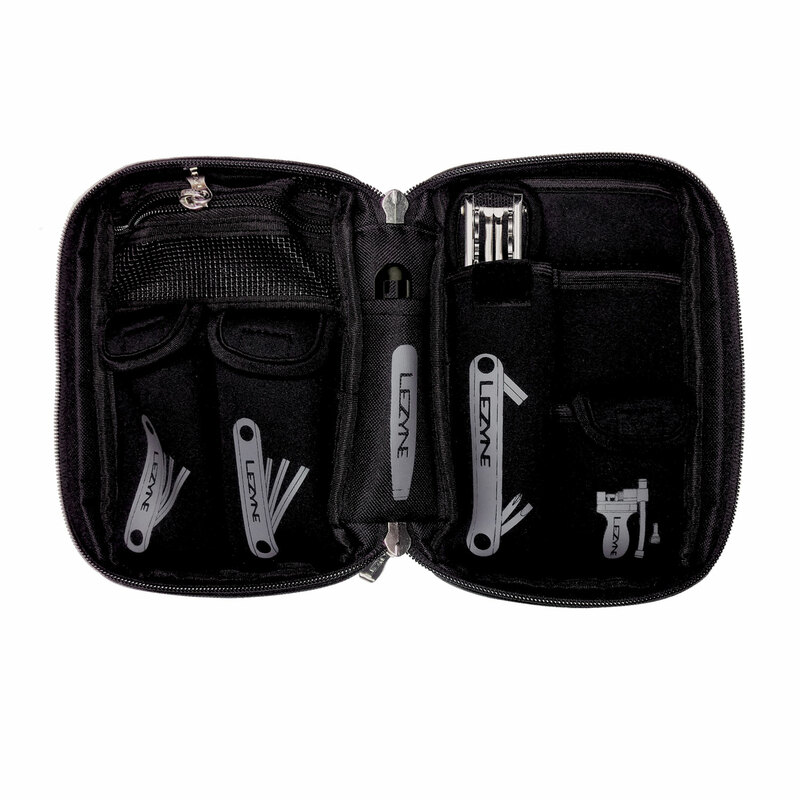 A small tool kit designed for basic maintenance while traveling. Small, cycling specific tool kit designed for traveling. Kit includes tools for basic maintenance. Convenient, canvas padded carrying case with zipper closure. Labeled pockets keep tools organized and safe during transport.